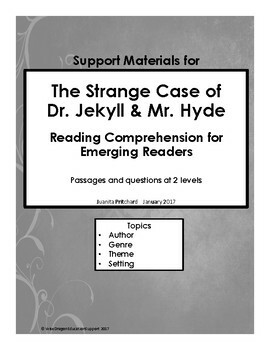 Designed to provide additional background information and practice with reading and comprehension for emerging readers in middle and high school so they can participate in literacy activities related to high school literature. 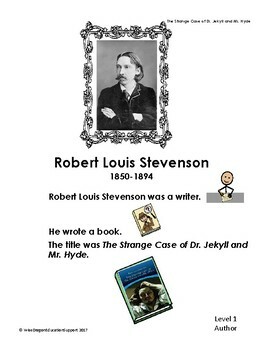 Intended to be used to supplement a literacy unit on The Strange Case of Dr. Jekyll and Mr. Hyde by Robert Louis Stevenson. 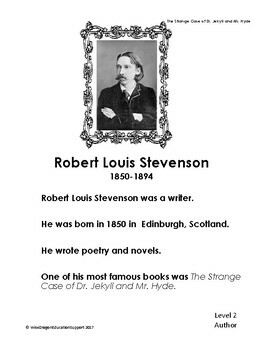 Abridged or adapted version of the story may be appropriate for this level student. Each section contains a short reading passage related to the story followed by activities to be used with that passage. 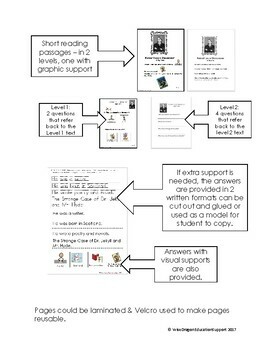 There are 2 levels for each passage – one for emerging readers with some symbol support and one for beginning readers with more text.